The Womens Gravity Flex Tight are the go–to piece for fast–paced sports like trail running, cross–country skiing etc. The combination of fabrics is suited to the specific requirements of different areas of the body. 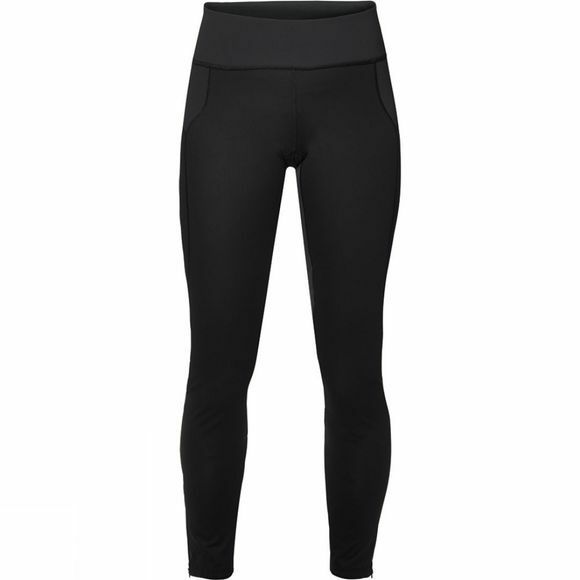 So the tights are highly breathable all over, windproof at the front and very stretchy at the back. They can also be worn as an under–layer, for example as insulation under your ski Pants. Also Jack Wolfskin have added Stay–Fresh properties to the stretch fabric for an odour–neutralising effect.